Turns any USB flash drive into a security key. Is there a better alternative to Rohos Logon Key? Is Rohos Logon Key really the best app in Security category? Will Rohos Logon Key work good on macOS 10.13.4? 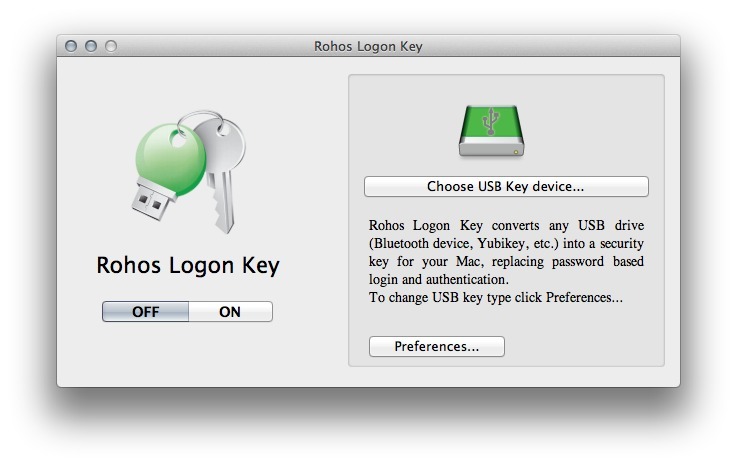 Rohos Logon Key turns any USB flash drive into a security key for your Mac. With Rohos Logon your Mac is protected but you don't need to enter your password manually each time you login/unlock your Mac. 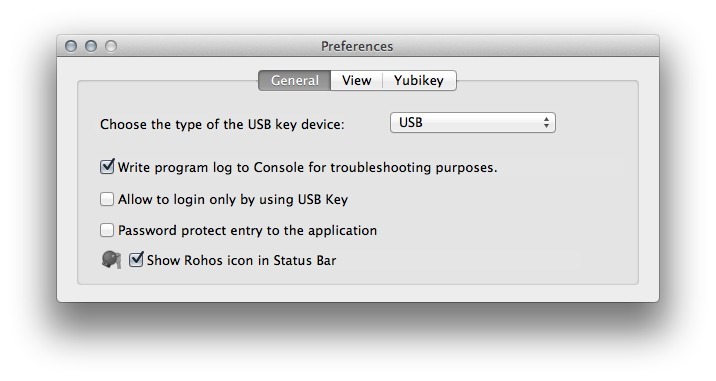 Rohos will automatically lock your Mac screen when USB Key is unplugged. Unlocking your Mac with a USB token is fully automatic and fast. Note: The download link contains versions of Rohos Logon Key compatible with OS X 10.5, 10.6, 10.7, and 10.8. Added multiple authentication methods support - Use any authentication device at any time. Added Smartphone authentication method - Login/Unlock your Mac by using iOS/Android phone, without entering password. Authentication is provided by using encrypted WiFi signal sent from Smartphone. Rohos Logon Key needs a rating. Be the first to rate this app and get the discussion started! Improved 'Bluetooth' authentication method - Now it doesn't requires Bluetooth visibility option to be turned ON. Delete Key dialog box - Allows to review and edit the list of registered authentication method (devices) and delete unused device.